Daily Dzynmkr: Happy Fourth of July! 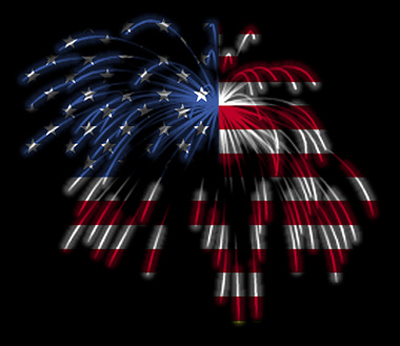 I hope everyone is having a great Fourth of July weekend and Monday. We enjoyed a Saturday with family, friends and scorching temperatures at Scott's brother's house. The day was full of food, drinks and an occasional hurt child. But, all is well and we made it home safely. Our little Fourth of July get together on Sunday went well. The Jalapeno Popper Dip was fabulous (and there was no mention of the Chili Cheese Dip) as expected. I encourage everyone to give it a try! The Wave Your Flag cake and the potato salad were also a hit. (see previous blog for the recipes and links). The potato salad was well received (and you know how hard it is to make people happy about potato salad) and the cake was light and summer-like after a heavy meal. 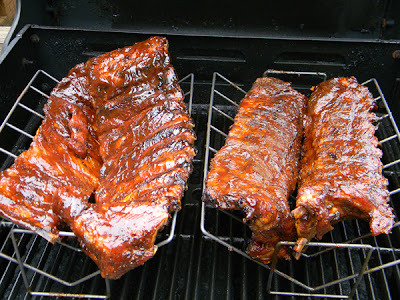 Scott decided to cook ribs. They were slow roasted in the oven for approximately 5 hours and then placed on the grill with barbecue sauce for about 30 minutes. They turned out great. He's in pursuit of the perfect fall-off-of-the-bone ribs. So, even though they were delicious, he wasn't 100% happy. Seems like everyone else was happy though. The newest addition starts to peek out of its shell (top right). I can't end my Fourth of July post without mentioning the bhut jolokia peppers. There's been a ton of growth over the past week or so. Still no blooms on the other plant though. A friend mentioned a product to us yesterday that "shocks" the plant into blooming. We might give that a try - but it needs to be soon. The summer is only so long and we need to "get it in gear." 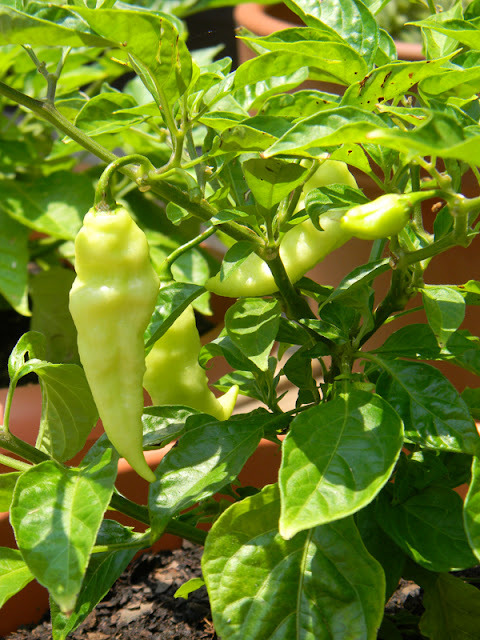 We have a new pepper starting to come out on the plant above and the others are doing great. I'll share more pictures as we go. Good eats after fixing my "beats"